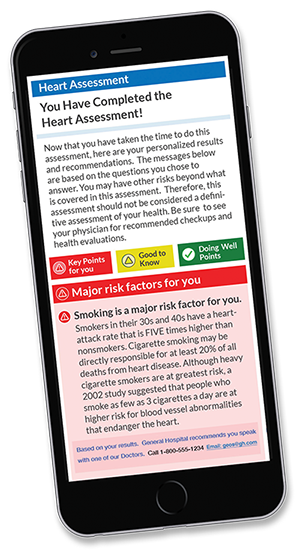 Help consumers understand their health status, their risks of developing diseases, and how to improve outcomes. 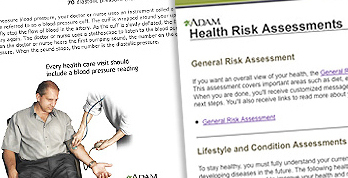 Help consumers better manage their health through targeted recommendations based on their health profile, created with 16 comprehensive and interactive Health Risk Assessments (HRAs). 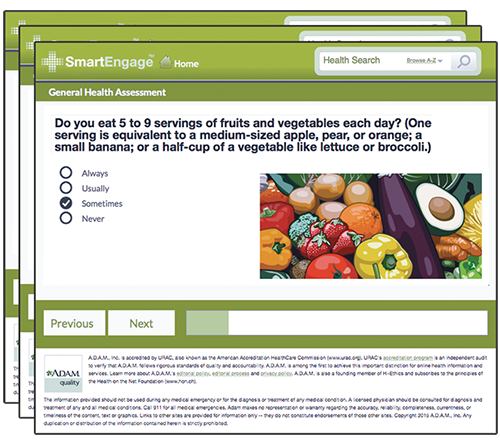 The interactive assessment engine asks a series of questions that evaluate health and lifestyle, and then provides custom results and recommendations. Related links to supporting images and information allow users to learn more about the topic, as well as their personalized results. With Client Community, you can add custom messaging to direct users to take appropriate actions based on their results. See it for yourself – Request a demo of A.D.A.M. 's Health Risk Assessments today!